Looking for a cool customization option for your Toyota Corolla? Try the new Toyota Corolla HID kit for a more pleasurable and secure ride. These headlights are optimized for maximum output and they last for a long time because of their strength and durability. Another great advantage of these HID conversion kits is that they are made waterproof and shock proof. While ordinary headlights wear out rather quickly, these lights have a fairly long life. 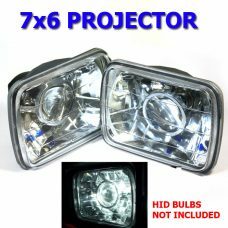 Bi-xenon headlights are also available for the latest models for producing both high and low beams. These headlights are useful for proper visibility during the night and in fierce weather conditions.